If you saw the movie Click starring Adam Sandler and Kate Beckinsale, you’d know that time is very important. You can’t put a price on experience, which is why you should always treasure each and every moment you spend with your family. Even if things may be fine today, it won’t always stay that way. You’d also know, if you saw the movie, that Bed Bath and Beyond has everything you’d ever need, even a remote control that can alter time and space. 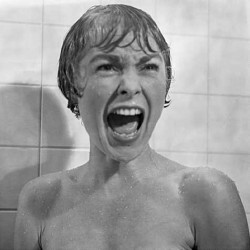 Of course the instance in the movie would only be an image for how Bed Bath and Beyond actually works. Still, you can’t deny the range of products they put out for retail. Bed Bath and Beyond literally has everything anyone could ever need and more. 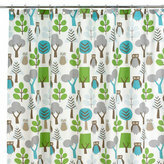 Of particular note is their collection of shower curtains, which is just exquisite in design and quality. I always do my shower curtain shopping in Bed Bath and Beyond for all my personal needs as well as that for my clients and friends. As an interior designer, I know the merit of having good quality products being utilized in living spaces. Sometimes, a couch would make the difference between what people would call trashy and what others would label as post-modern. Normally, I would recommend proper shower precaution implements for bathroom set ups, but the designs available in Bed Bath and Beyond has made me rethink my stand about shower curtains and bathroom designs in general. Bed Bath and Beyond usually stocks up on patterned shower curtains because that is what most interior designers recommend for home use. While graphic print curtains from Linens and Things would also work, most graphic designs are of a tongue in cheek nature, which is quite loud for the sensibilities of Bed Bath and Beyond. Bed Bath and Beyond goes for the classic approach to things, making sure that their products are never just flavors of the month. 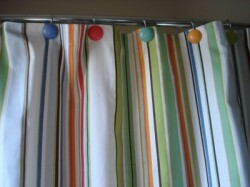 A prime example of this is the Xanadu Fabric Shower Curtain, which features the combination of bold colors in bold horizontal lines. This type of design is unlike other patterned styles featuring hearts or lip marks and would actually look good in bathroom settings with the same color scheme. Another good product would be the Abstract Black Fabric Shower Curtain, which is a series of wild black intersecting lines against a white backdrop. This design is perfect for those young homeowners or, at least, the young at heart. And people say that all Bed Bath and Beyond are just for old foggies without contemporary sensibilities and imagination. People are not enjoined from doing what they want because, hey, it’s a free country. However, quality products and service, it is recommended to stick with reputable institutions in whatever field being referred to. As an interior designer, I strongly advise people who’d want to utilize shower curtains to check out Bed Bath and Beyond shops because they provide quality products that provide quality service. I am happy for having chosen Bed Bath and Beyond shower curtains for my second bathroom, and I encourage my clients, family, friends and you, dear readers, to try out what Bed Bath and Beyond has to offer, in terms of shower curtains.